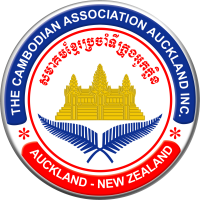 Cambodia confirmed on Wednesday that it will attend two meetings with Thailand on border issues on April 7-8 in Indonesia, the present chair of the Association of Southeast Asian Nations (ASEAN), a government spokesman said. Foreign Ministry's spokesman Koy Kuong said Cambodia received a letter on Wednesday from Marty Natalegawa, foreign minister of Indonesia who confirmed that both Cambodia and Thailand had agreed to meet on April 7-8 in Indonesia. Koy Kuong said Cambodia is ready for the meetings. Indonesia is offering to mediate resettlement of border dispute between the two nations, which has been dragged unresolved for more than two years. The April 7-8 is set for leaders of General Border Committee ( GBC) and Joint Border Commission (JBC) of the two nations to discuss their differences before allowing Indonesian Observers to monitor a ceasefire near the disputed area. Cambodia and Thailand have engaged in military confrontation and clashes since 2008 along the border near Cambodia's Preah Vihear Temple. And while the situation at the border is still fragile, Indonesia has pledged to send unarmed observers to help monitor who triggers the fire first. To date, Indonesia has not set any date for their arrival. However, it is expected that Indonesia will be able to set the date following the GBC and JBC meetings. Thailand is claiming 4.6 square kilometers in the area near the Preah Vihear Temple as it belongs to Thailand, but the claim is disputed by Cambodia. The Hague Court, the International Court of Justice, judged in 1962 that the temple belongs to Cambodia.